Staring into the face of grief | Don't mention the M word! Waking to a BBC news alert – presented as an almost triumphant musical signature on my mobile , I learnt, like so many others, that David Bowie had died. This was shocking. Many of us had his smiling face imprinted on our minds because of a photo posted on social media of him celebrating his 69th birthday just a day or so before his death was announced. He looked fine, handsome, characteristically debonair. The internet lit up with Bowie from then on – the visionary starman – who gazed as if from another planet at us all. There seems to be collective grief. I cried. Not because I knew David Bowie of course, because I too am grieving. My generation, growing up in the 70s and 80s were bound together by arts and culture. Bound because we had limited access to it perhaps, so we shared in its movements together. With just three television channels, a couple of music magazines and maybe just one radio station. When true artists were fed through the popular culture “pipe” like Bowie, like Freddie Mercury, we experienced the joy, adulation, something visceral, life-changing moments forming a soundtrack to our lives. David Bowie’s music appealed to all people, all classes. David Bowie wasn’t just for the cool kids or rich kids or those who profess to have greater musical taste. He let us all project ourselves, all our lives, onto his art. Hearing it transports me back to the housing association flat I grew up in with my mum and step-dad. They are both gone now. A flat with constant radio songs blaring 24/7 – in what seems a comforting musical womb – reassuring – a childhood that seemed stretched out in front of me over many summers. Since my mother died I have taken to listening to Absolute 80s radio. I transport myself back to the cups of tea chats, Let’s Dance, Under Pressure and hopes and dreams of the future while having a pep talk over a plate of sandwiches. Now I find myself desperately wanting to walk in that room again (so vivid in my waking and sleeping mind) and let her make my tea and listen to my day at school, all those important things that really mattered to me at the time, I have long forgotten about. I’ve recently been working on research into different generations marked by key characterises, such as the Baby Boomers. My generation, Gen X, are apparently shaped by cold, stark global political events that occurred during our youth. Events such as The Vietnam War, the fall of the Berlin Wall, the end of the Cold War, and the Thatcher-era government. I read that Gen X are accepting of diversity, will embrace differences in religion, sexual orientation, class, race and ethnicity. It’s not just that though, is it? What marks my generation is that we (Gen X) all share a collective cultural loss when great artists like Bowie pass. This is because he is taking with him a part of our lives, marking what has passed for us, and he has left us staring in the face of grief, our own. I felt the same, Claire. Instant flashbacks to years when most of life is before you and image is self-expression. I remembered the smell and feel of the clothes in my favourite shops, Elnette hairspray, the make-up and so much else. 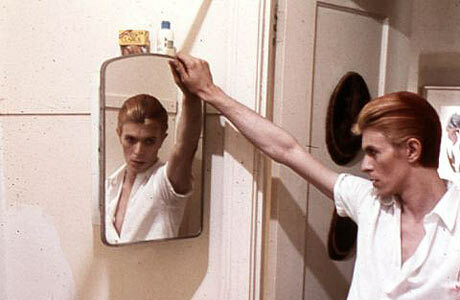 But the soundtrack is what linked it all together and Bowie was right up there.